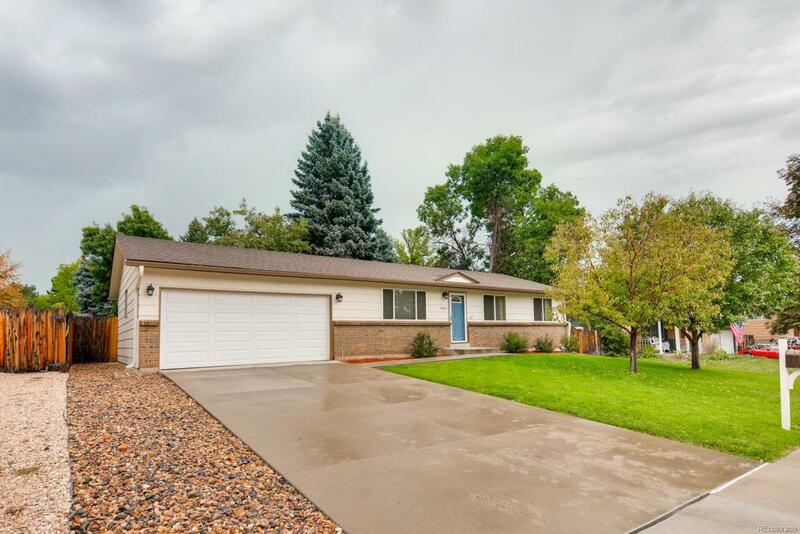 Come see this beautifully updated ranch in Columbine Hills! Gleaming wood floors and fresh paint throughout the main floor including the spacious and bright living room, open kitchen and dinning area, and all 3 of the main floor bedrooms! The master bedroom has its own private, updated 3/4 bathroom, and a second full bathroom is shared by the other bedrooms. The kitchen is brightly lit by two large windows, and has plenty of counter and cabinet space. Lots of room in the mostly unfinished basement for you to add bedrooms, a bathroom, and a large family room (an egress window has already been installed for a future bedroom, and a non-conforming bedroom has been finished)! The quarter acre lot provides an expansive, fenced back yard with a flagstone fire pit, chicken pen, and a utility shed, and the oversized two car garage offers space for cars and storage.